THE man accused of opening fire on a Las Vegas outdoor music festival on Sunday night in the worst mass shooting in US history has been identified as 64-year-old retiree Stephen Paddock. The Nevada resident was found dead when a SWAT team stormed his room on the 32nd floor of the Mandalay Bay hotel-casino, from which he rained bullets down on the country music concert. Las Vegas sheriff Joseph Lombardo told reporters that the shooter took his own life when authorities entered. Officers found an arsenal of at least 10 rifles inside the hotel room, which Mr Paddock had been staying in since Thursday, September 28. Mr Paddock was a white man from the city of Mesquite, northeast of Las Vegas, with no criminal history on federal, state or local records, except for a minor citation. Mr Lombardo said a background check on the shooter failed to turn up any "derogatory" information. Police are yet to determine the motive for Mr Paddock's attack, in which he killed at least 58 and injured at least 515 more. "Right now, we believe it's a sole actor, a lone-wolf-type actor," Mr Lombardo said. "We have no idea what his belief system was. Right now, we believe he was the sole aggressor." Given the lone-wolf nature of the attack, Mr Lombardo said: "I don't know how it could have been prevented." When asked whether the shooting amounted to "domestic terrorism", the sheriff said, "We have to establish what his motivation was first". The sheriff described the shooter as a "psychopath" and Las Vegas mayor Carolyn Goodman called him a "crazed lunatic full of hate". Islamic State has claimed responsibility for the attack, saying that the shooter was one of its soldiers who had converted to Islam months ago, according to SITE Intel Group. However, SITE Intel Group director Rita Katz said the terrorist organisation "needs evidence" to back up its claim. Aaron Rouse of the Federal Bureau of Investigation rubbished IS's claim, telling reporters on Monday that investigators had found "no connection to an international terrorist group". 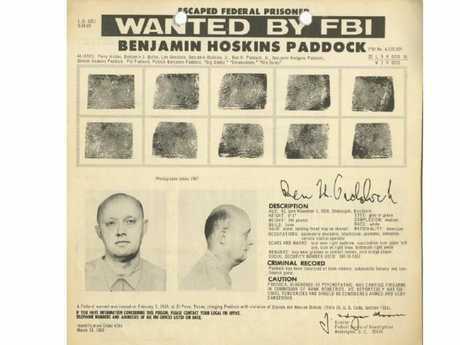 While the shooter appears not to have had any previous run-ins with the law, his father was Benjamin "Chromedome" Paddock, a bank robber who was an FBI fugitive during the 1960s. A wanted poster from 1969, after Mr Paddock Sr had escaped prison, described him as a "psychopathic" who had "suicidal tendencies and should be considered armed and very dangerous". He was eventually captured in 1978. It was revealed overnight that Stephen Paddock was a big gambler, with police and a casino executive telling NBC News that he had made several large transactions in recent weeks. He had made gambling transactions totalling more than $10,000 a day at multiple Las Vegas casinos, sometimes clearing as much as $30,000 in a 24-hour period. It is unclear, however, whether those transactions amounted to wins or losses. 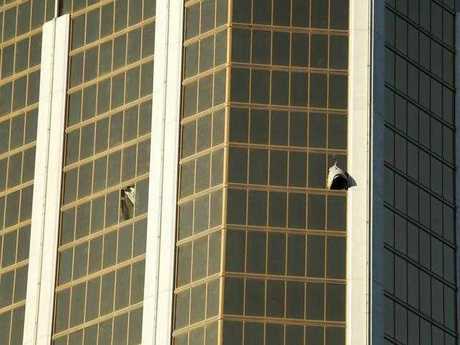 Police have not disclosed what weapon Mr Paddock used in the massacre, but they said he smashed the hotel windows with a hammer-like object to get a clear shot at the 22,000-strong crowd. Authorities searched Mr Paddock's Mesquite home, 90 minutes' drive from Las Vegas, on Monday but uncovered nothing unusual. Mr Paddock lived in Sun City, an upscale retirement community for those aged 55 and older that included an 18-hole golf course and outdoor swimming pools, USA Today reports. Mesquite police officer Quinn Averett told reporters that it was a "nice, clean home, nothing out of the ordinary". However, officers did uncover weapons and ammunition. Mr Averett said Mesquite police had no previous contact with Mr Paddock, not even a traffic stop. The cop said the home was in a "very quiet neighbourhood" in a "low-crime area". Authorities also plan to search Mr Paddock's second property in northern Nevada. The shooter's brother, Eric Paddock, told NBC News that he had "no idea" why he had committed the massacre. "Mars just fell into the earth," he said. "We're completely dumbfounded. "We are completely at a loss." Eric, who lives in Florida, said his brother was "just a guy" who "snapped or something". The brother also told ABC News that the family was "dumbstruck" by the news, saying he felt like he had been "crushed by an asteroid." "As far as we know, Steve was perfectly fine," Eric said. He said his brother liked to go to Vegas to gamble, see shows and "eat burritos". 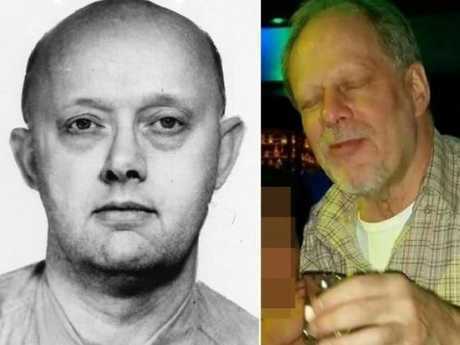 Mr Paddock reportedly had no political or religious affiliations, he was university educated, he worked as an accountant or auditor before his retirement, and he was a licensed pilot who owned two planes. The last time Eric had heard from his brother, in the aftermath of Hurricane Irma, he had texted "how's mom?". Eric said his brother had handguns, but he was at a loss to explain how he obtained the automatic weapon used in the massacre. "Where the hell did he get the machine guns?" he asked reporters. 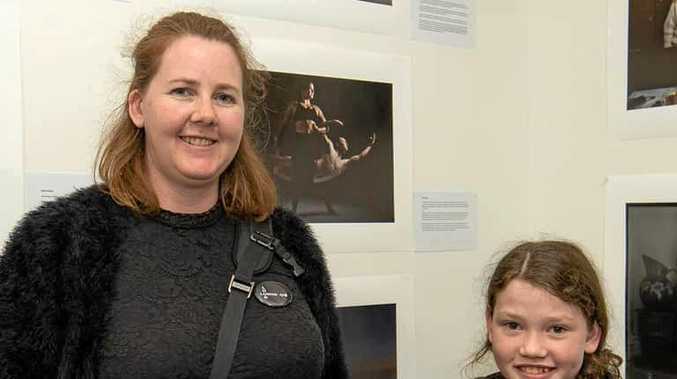 The sheriff said Mr Paddock had been using the ID of former Queensland resident Marilou Danley, who is understood to be his housemate. Authorities have spoken to Ms Danley, 62, who is currently outside of the US. Police said she was not with him during the shooting and she was not believed to have been involved in the attack. Authorities are also looking for a Hyundai Tucson with a Nevada licence plate as part of their investigation. 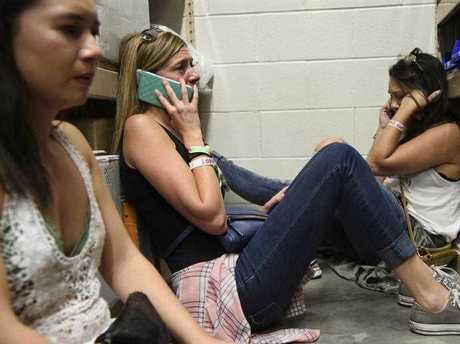 The US Homeland Security Department said there was no "specific credible threat" involving other public venues across the country, the New York Post reported.